This entry was posted in Say That Again (quotes) and tagged empowerment, progress on February 15, 2014 by skylikeme. Art is critical to human evolution, survival, well-being, tolerance, awareness, and connection. It is not something we do, it is something we are. We are the music, the dance, the masterpieces. Our lives are compositions. Language is vastly limited in what it can do to express the nuances, subtleties, and galactic power of our emotions, our sensory input, and our depth. This is something I’ve learned as I’ve waded through grief over my dad for the last two years. Some things just can’t be explained with words. To be fully realized, we need to create and express artistically. We need to move our distinct selves in rhythm with the sensations and vibrations we feel, and let meanings fall away, as we spring into a state of observation. Art is immediate. Creating it and being witness to it drops us into the present moment. I love this quote because Ms. Duncan is saying how dance can express something without defining it. That is something that we are designed to do- bypass our need to analyze and understand- and just embody our experiences. Dance them. Paint them. Sculpt them. There is a part of us that is always centered in the geyser of creative force. Where we don’t need to understand or analyze. Our mental selves jump out of the equation and we are left with ourselves- and the power we have in expressing things that words never could contain. 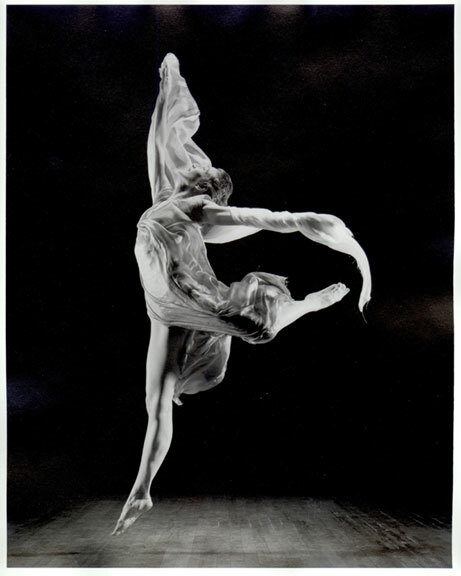 This entry was posted in Say That Again (quotes) and tagged art, dance, empowerment, isadora duncan, progress on February 8, 2014 by skylikeme. OK, so he is talking about an idea for nations, for the world at large, I’m sure. But I like to take this quote to a more personal level. Recently for our family, that idea whose time has come is night weaning. But it’s true for any brilliant new thing that you are just ready for. The trick, as always, is getting out of your own way to let the idea take its rightful place at the center of your attention. This entry was posted in Say That Again (quotes) and tagged empowerment, progress on February 1, 2014 by skylikeme. e.e. cummings changed my life. Poetry had always seemed like a rigid form of writing to me. At least, the poetry that I was introduced to in high school, and asked to write followed very definite guidelines. But after college, I was introduced to a different kind of poetry where rules were made to be rewritten, broken, and just ignored altogether. This not only made me a better writer, but a better human. Richer, fuller, and more willing to turn my inner volume way, way up until it blasted out my pen, and out my mouth in spoken word events. I love e.e. cummings. He tromped on all kinds of rules while zinging right to the heart. This might not be his greatest quote, but it’s the one I always think of when I realize how powerful writing can be. It can change lives. This entry was posted in Say That Again (quotes) and tagged empowerment, progress on January 25, 2014 by skylikeme. Calm delivery. He thought he was being reasonable and making a good argument. He used the “also” just to add the special emphasis he needed. As I recall, I was asking him to do some menial task like wash his hands or head to his room for quiet time. One of the things I love about him is that he talks like a grown up but expresses kid thoughts. Perfect. This entry was posted in Say That Again (quotes) and tagged empowerment, progress on January 18, 2014 by skylikeme. Is it hot in here? ‘Cause I’m getting a little bothered. Sooooo romantic. A few years back when I was performing songs out, my fellow songwriters and I were discussing the magic of soulful male songwriters. Put a poetic, soulful female songwriter on stage and the audience is like, “Show me something I don’t know already.” Put a poetic, soulful male songwriter up on stage and the audience is captivated. Initiate swooning. This quote has that swoon-worthy quality. It’s all wrapped up in itself and in the momentum of the rich moment. This entry was posted in Say That Again (quotes) and tagged empowerment, progress on January 11, 2014 by skylikeme. Neruda. He said pretty much everything better than anyone of us could. I’m posting this quote as a tip of the hat to those we’ve lost. Blessings to those who are grieving. I never really knew grief until my dad died two years ago. Now I know as much as two years as taught me. “Grief” is one of those words that does close to nothing in explaining what it is supposed to represent. Like “love” or “birth.” It is a scrap of blanket covering miles of geography. It does nothing to cover the different terrains and seasons. I love this quote because I’ve found that even though my mind has moved on from my dad’s death, my body absolutely remembers. During the time of year that he died, I find myself sad, tired, angry, desperate. It doesn’t matter that I’ve gotten therapy and have worked on forgiveness, moving on and all the stuff you’re supposed to do. My body is still acclimating. I still go to his speed-dial number, think about what I’m going to get him for Christmas, and get a choke in my throat when I think of him not being around to see my kids as they grow. But I shall go on living. This entry was posted in Say That Again (quotes) and tagged empowerment, progress on January 4, 2014 by skylikeme.